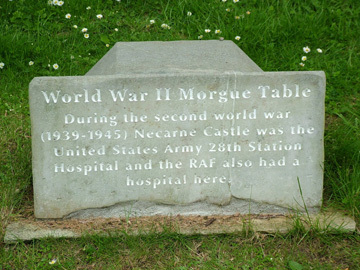 During the second world war, Necarne was used by the RAF and the Americans as a military hospital. By 1941, America had declared war on Germany and the castle was requisitioned by the United States Navy. 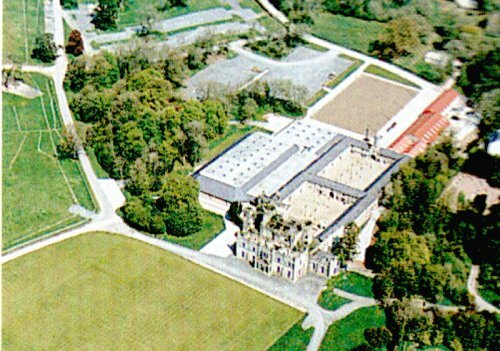 It originally had 200 beds but was soon enlarged to a 500 bed institution and released to the American Army. It was here, at Necarne, that the 28th Station Hospital was set up. Americans recuperated while they built up their strength getting ready to fight on the beaches of Normandy. The hopitality and kindness of the locals in nearby Irvinestown was greatly appreciated. One local farmer even allowed the 'Yanks' to use his field as a baseball pitch! Syd Irving, (Flight Engineer RAF 422 Squadron) remembers vividly his stay at the castle after surviving a horrific Sunderland crash at Trory just outside Enniskillen on 20th February 1944. He woke up in the American hospital suffering from internal injuries and injuries to his legs. Syd also had a twisted spine. The rich American food helped recovery and was a pleasant change from the mundane rationing being experienced beforehand. WAAF ladies made regular visits to Syd and fellow crew survivors but it was soon realised that the sweet talking American personnel were the main attraction! 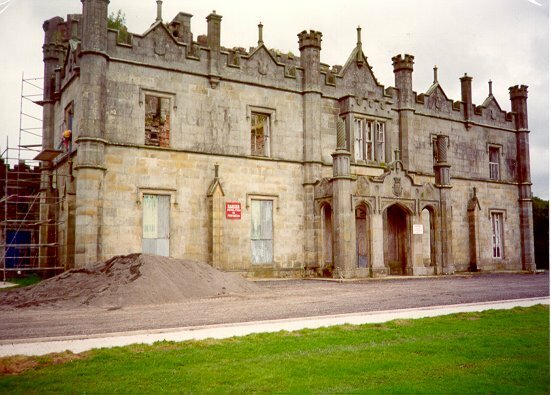 A mortuary, which held at least ten stone slabs, was also built at Necarne. Sadly, too many RAF young men, who were involved in flying fatalities, were brought here for their final resting place. 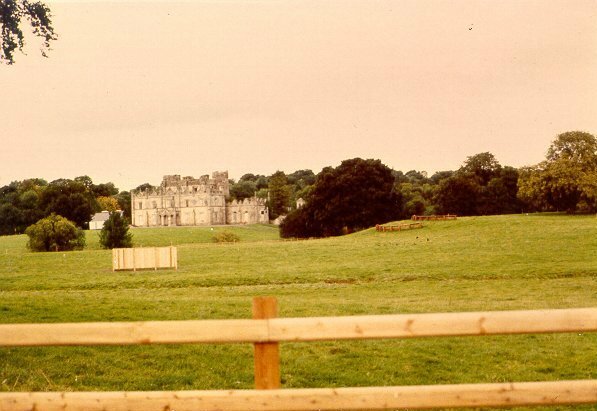 A lone stone slab still stands today at the side of the castle as a reminder of the part played by Necarne in the Battle of the Atlantic. This book may be purchased directly from the author for £3.50. Breege McCusker, Drumharvey, Irvinestown, Co. Fermanagh, N. Ireland, BT94 1ET.